If you’re in the UK or Europe and looking for a feast of American art this Christmas and New Year without crossing the Atlantic then two of London’s top galleries are the places to head. The Royal Academy’s Abstract Expressionism show is superb in it own right. 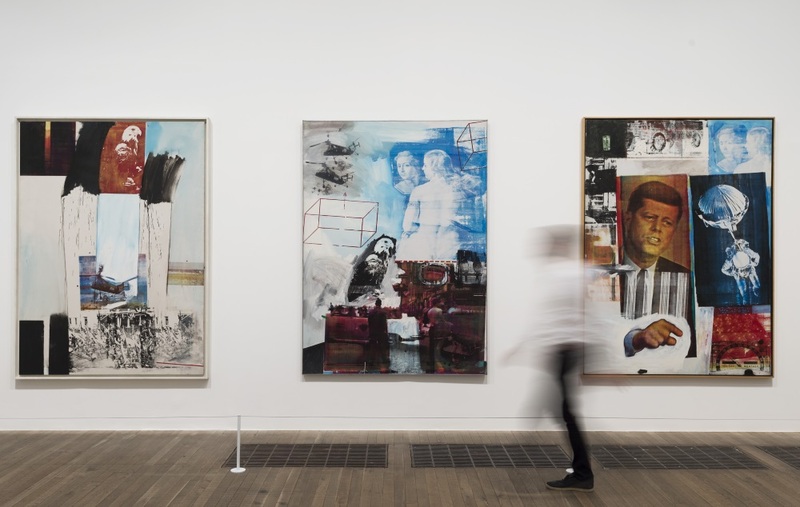 Combining it with a trip over to Tate Modern’s distinctive retrospective on Robert Rauschenberg will give you a powerful insight into 20th century American art history. It will do so because, in the case of the RA for example, it’s so unusual to see so many of the major works of Jackson Pollock, Arshile Gorky, Franz Kline, William de Kooning, Mark Rothko, Joan Mitchell, Helen Frankenthaler, Clyfford Still and Hans Hofmann in one place. The works on display, some of them gargantuan examples, have been gathered from all over – from America, from Canada, from Australia and from the UK. It’s not just the range but also the quality which will impress. I found Frank Kline’s epic Requiem 1958 overwhelmingly profound and powerful. 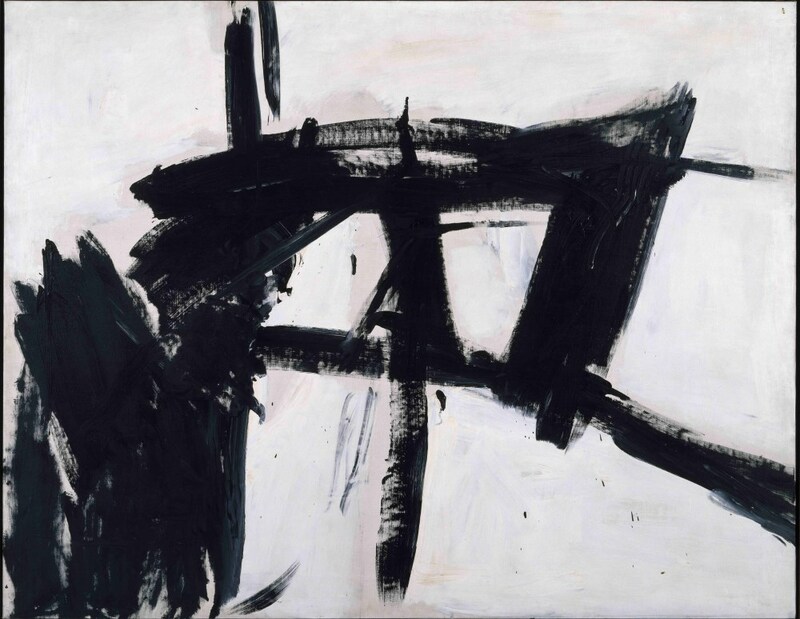 Kline’s hefty black and white canvases are both thunderous and silent at one and the same time. They are humbling, gripping, intense works which cut to the very heart of whatever or whoever we are. Floating off into the deep, enveloping, blended softness of Rothko’s No.1 (White and Red) 1962 provides a wonderful antidote to the confrontation with the Klines. There is a small room full of Rothkos at the heart of this exhibition, including No.15, 1957. The Jackson Pollock examples are quite superb, including the mesmerising Blue Poles (1952) and his largest-ever work Mural (1943) which was commissioned by Peggy Guggenheim – who gave it to the University of Iowa Museum of Art. These Royal Academy rooms don’t quite have the space these works merit, at least not so many of them. They aren’t always therefore being shown to best effect – but it is nevertheless quite thrilling to see such variety from this massive genre. What can anyone say about abstract expressionism that hasn’t been said before? Perhaps one can only offer testimony to its effects. It touches the mind and spirit aesthetically, existentially, philosophically, imaginatively, profoundly, enduringly, inspirationally… everyone’s response will be personal. Time will tell of course but artistically, this is one of the most important, resonant and – one imagines – enduring movements in art history. Yet across at Tate Modern there’s evidence that not everyone was quite so enamoured. Trailblazer Robert Rauschenberg (1925-2008) was one of those who refused to conform to the dominant genre of its time, stepping out boldly instead into new ways of deploying painting, sculpture and the detritus of everyday life. Hence the creation of his ‘combines’ – works emerging in the 1950s which are neither painting nor sculpture but hybrids of the two. This was just one of the ways in which he moved beyond traditional art categories. Among the most famous of course his Monogram (1955-59) depicting a goat emerging from a rubber tyre. Check out Mud Muse (1968-71) – and watch how it makes people smile. Rauschenberg’s use of basic technology is constantly intriguing. Rauschenberg is such a particular slice of time. You can feel it in the colour and tone – and in the bubbling mud. His silkscreens featuring JFK, Bobby Kennedy, Martin Luther King Jnr, Janice Joplin and Buzz Aldrin have a particular impact, blending documentary and a sense of popular culture. I couldn’t help thinking though that Richard Hamilton’s work – shown in exactly these same rooms in 2014 – dealt with some of the social fulcrum of 1960s America with even more power. Nevertheless this is an astonishing window into the mind and work of one of the great influencers of 20th century American art and culture. His energy, restlessness, inventiveness and collaborative spirit are breath-taking. 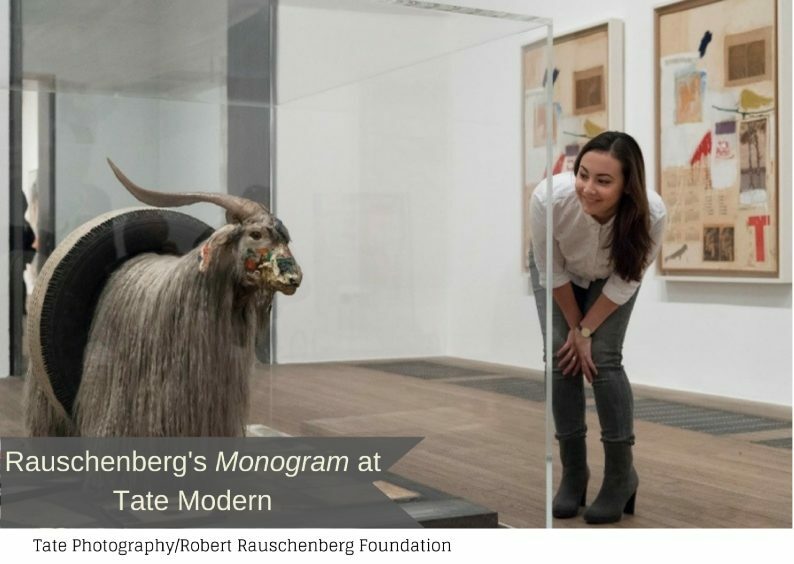 The Rauschenberg show runs at Tate Modern until April 2, 2017 before heading on to MoMA New York between May and September 2017 and then to San Francisco’s Museum of Modern Art after that. For the abstract expressionists at the Royal Academy you’d better put your skates on – it ends on January 2, 2017 before moving on to the Guggenheim in Bilbao. It would be a crime to miss it.